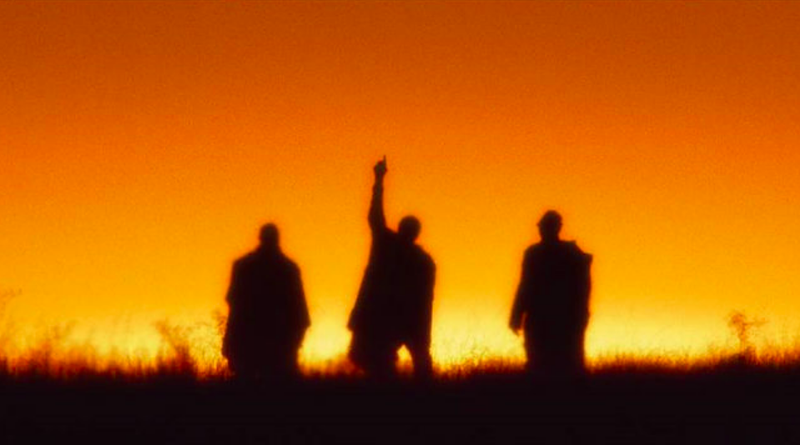 Silhouettes of the surviving members of A Tribe Called Quest from the new “Space Program” video. When A Tribe Called Quest released their last album more than a year ago, a track called “The Space Program” blew listeners away with its pointed lyrics about systemic inequality in America. Now the song’s got an amazing video with a tearjerker credits roll. Look, I’m a huge Tribe Called Quest fan. The music made by Q-Tip, Phife, Jarobi, Ali Shaheed Mohammed, and others was the soundtrack to my formative years in high school and college, with samples that opened up my horizons to the Last Poets and jazz icons I hadn’t previously encountered. Before the death of Malik “Phife” Taylor in March 2016, the group consistently ventured out with work that pushed the boundaries of what rap music and hip-hop culture could be. They always spoke to the political realities of being black in the United States and the video for “The Space Program” keeps with that tradition. Only available on Apple Music, “The Space Program” video directed by Warren Fu opens with Q-Tip waking up in futuristic living quarters. It soon becomes apparent that he’s trapped there—and news footage from decades past provides crucial context, along with the song’s lyrics. The entire eight-minute mini-movie is a metaphor for the black American struggle for civil rights, linking the current sociopolitical climate with flashpoints from the 20th Century. Things get really poignant when the hook drops and we see Questlove, Alicia Keys, Black Thought, Erykah Badu, and Vince Staples lip-syncing “let’s make something happen” over Phife’s vocals. The final remembrance of the iconic MC comes when pictures of Phife from throughout the group’s history accompany the credits. “The Space Program” makes a fitting final music video for the group because it reminds viewers of where we’ve been, where we are and where we might go.